[North America] - ILJIN, A. 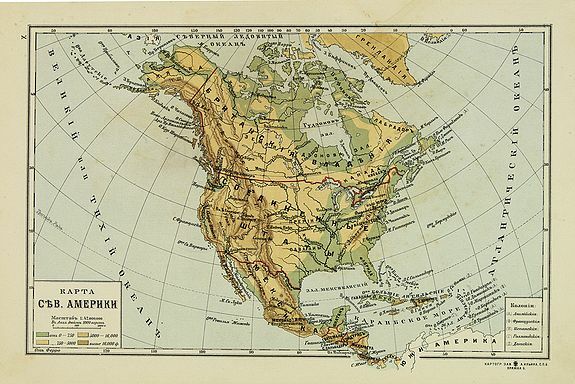 Description :A more than 100 year old Russian map of North America printed in lithography. Published by one of the most successful publishers of St. Petersburg A.Iljin. With a colour key to evaluations. All names in Russian characters. On verso a map of Africa.